Now don’t get me wrong. I’m not talking about gossip. A conversation about personal matters or a conversation about some personal details of other people’s lives, whether rumor or fact and let’s face it who really likes facts, bring on the rumors, like hear say; now we’re talking. Looks like that free ticket just gave me more to talk about as long as we talk about them. This here thicket is only good one-way when we do that. Who wants to talk about ourselves anyways? Not I. I mean really – Who would want a ticket that went both ways. Someone should go talk to them. Tell them that this here ticket just doesn’t work that way. You can’t just have it both ways. God, you’d think that someone would’ve told them long ago about that. Wait we don’t like facts. How can this be? We can’t have it both ways. This is getting very confusing, all this trash talks. First there’s no rule, but to my dismay – there are. Is that a fact? Or is that just something that someone just made up? Where’d they get their ticket from, geez Louise folks, they’re out of control. Will someone please go talk to them? I hope they saved their receipt because this is not how this trash talk works. They probably bought their ticket from a third party vender, someone that is most likely not in the game of trash talking. Who would even be selling one of those? They probably just gave it away anyways. Those people! Come on folks wake up! Who would want to talk about that? Right! What’s the point if there’s no good stuff to talk about? How can we even bring up the matter to other peoples ears if they just give it away like that. No sir re folks, I bought and paid for my here ticket. What a waste. What a waste indeed. A conversation got to go both ways. Well unless we’re talking about them. Then that’s a different matter altogether, right? Thanks to all you folks that came out and gave me support at my book event..lovulots..! 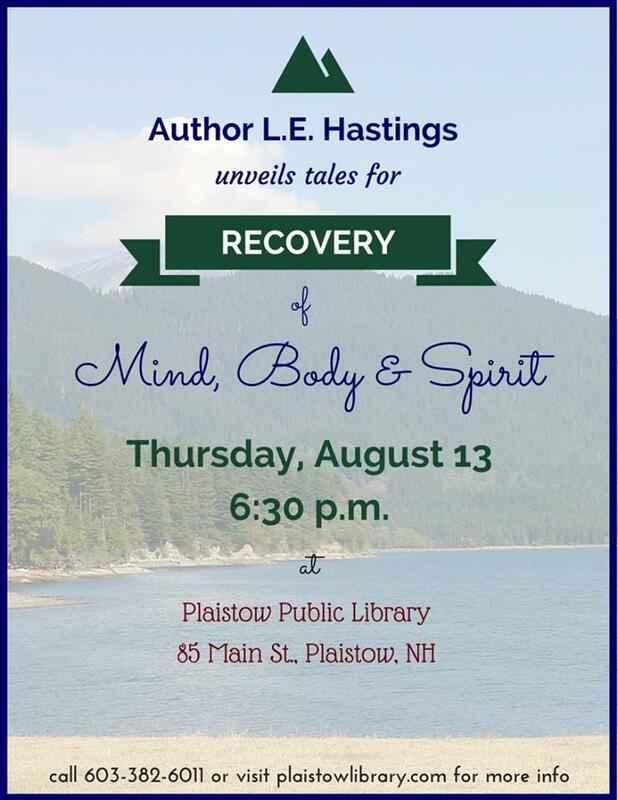 L.E.Hastings shared Plaistow Public Library‘s event. this is where i’ll be…hope to see you folks there..!